This is the FXTraderariel Psychology Indicator. It calcutes a sell and buy zone according to Psychology Levels. 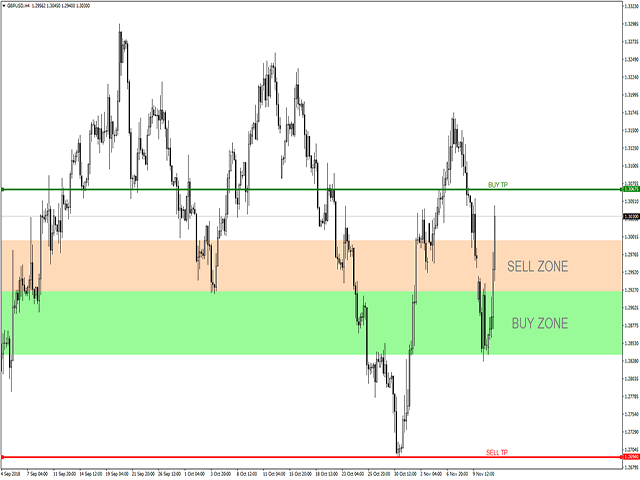 The indicators shows also potential Take Profit Targets. 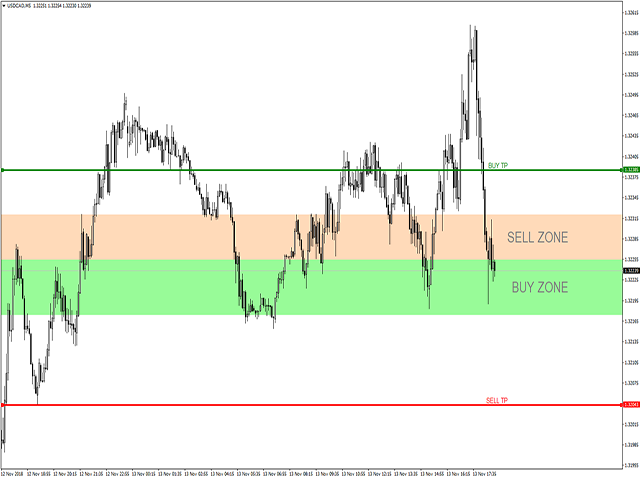 Depending on the settings and trading style, it can be used for scalping or long-term trading. 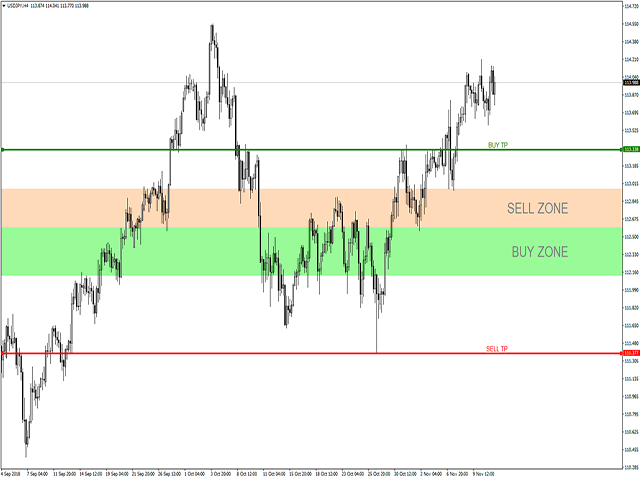 The indicator can be used on every time frame, but we advise to use it on H1, H4 and D1. Especially if you are a novice trader. 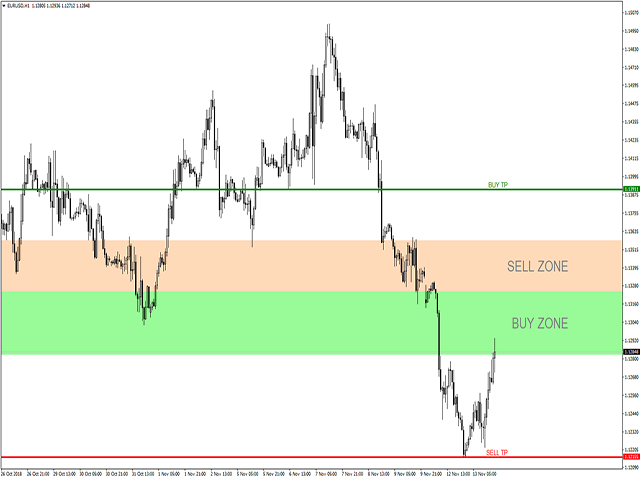 Pro Traders can also you use it for scalping in smaller timeframes (M1, M5 and M15). This indicator is not a complete trading system.Not should every Signal be traded. Trades should be watched closely. !!!!!!!!!! There is no group access for 1 Month rent and no mac versions available for 1 Month rent! !!!!!!!!!! We make adjust for calculations.